It’s that time of year again! In both February and March, Autumn Green Animal Hospital is running a 10% off for dental cleaning and polishing. An unhealthy mouth leads to disease in the rest of the body. Let’s keep everybody healthy. 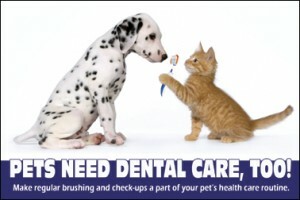 Call us to schedule an appointment!